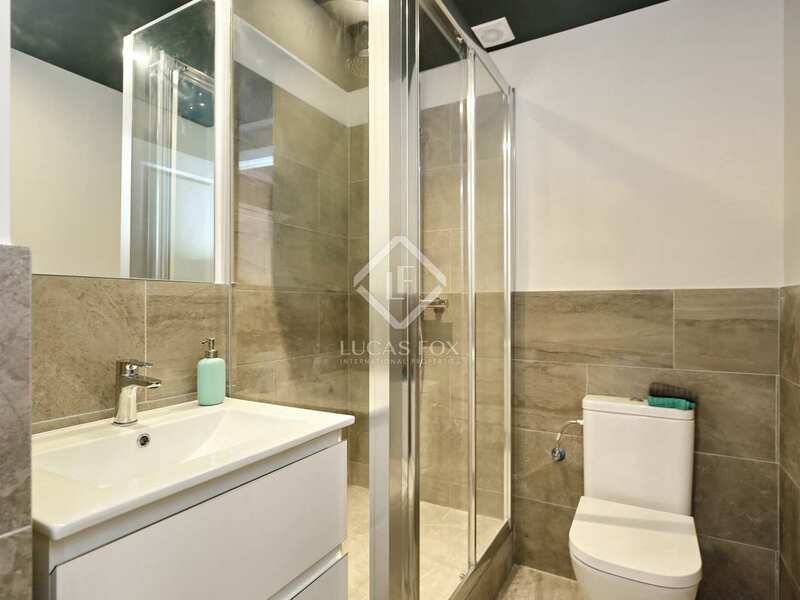 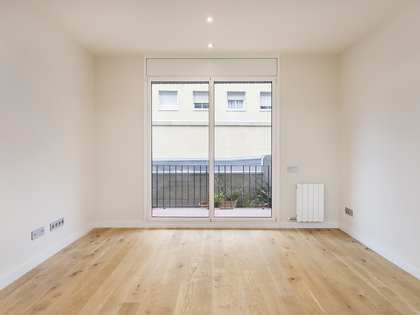 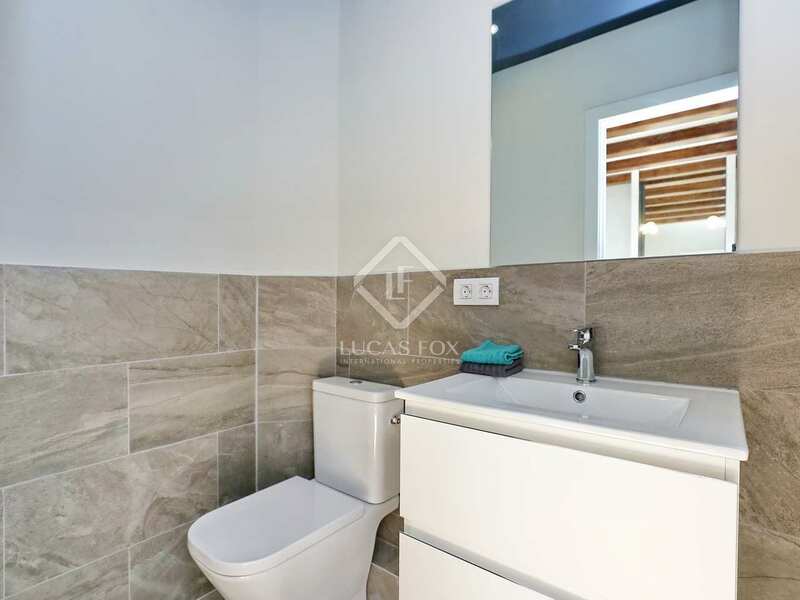 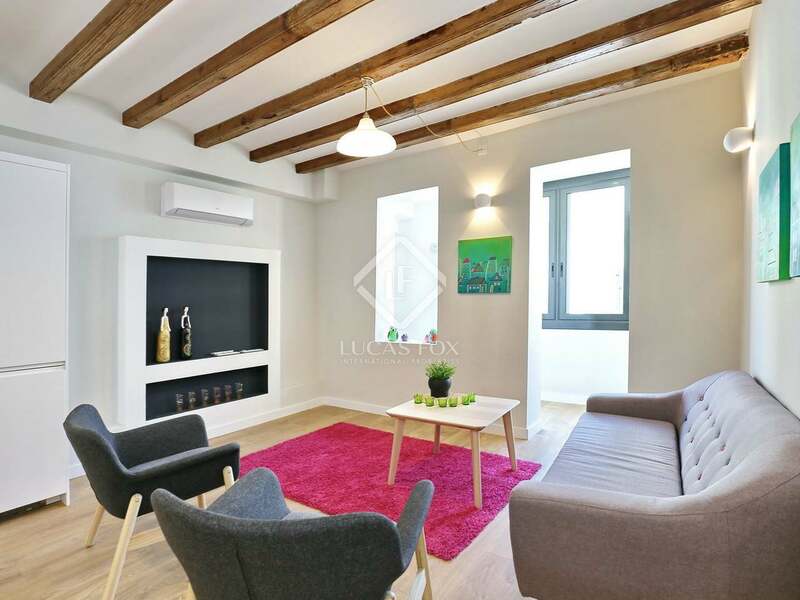 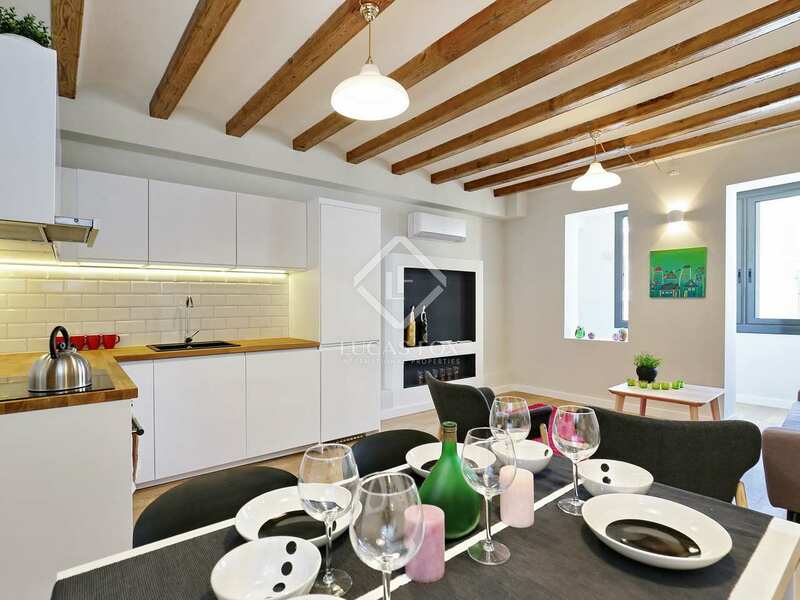 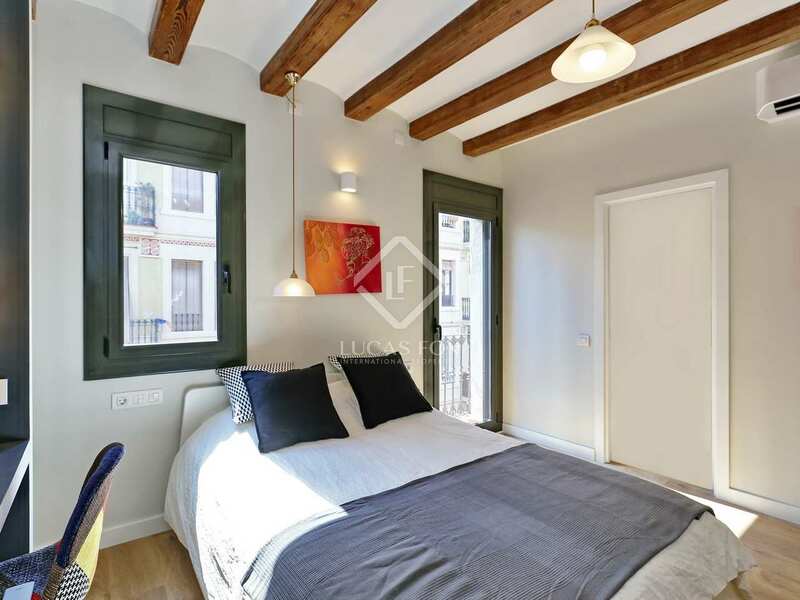 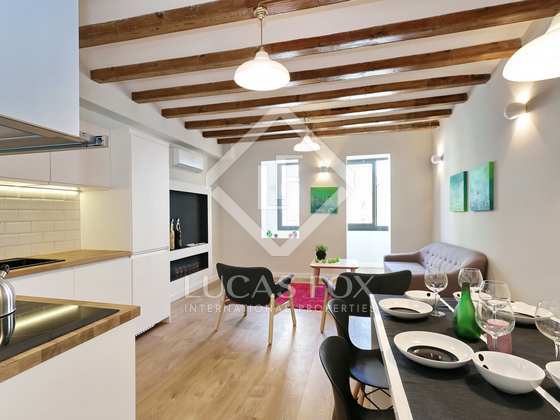 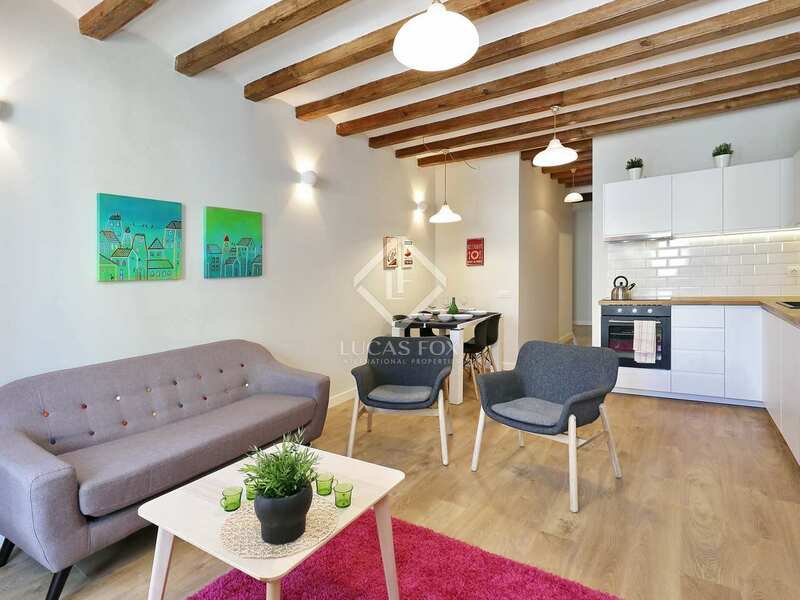 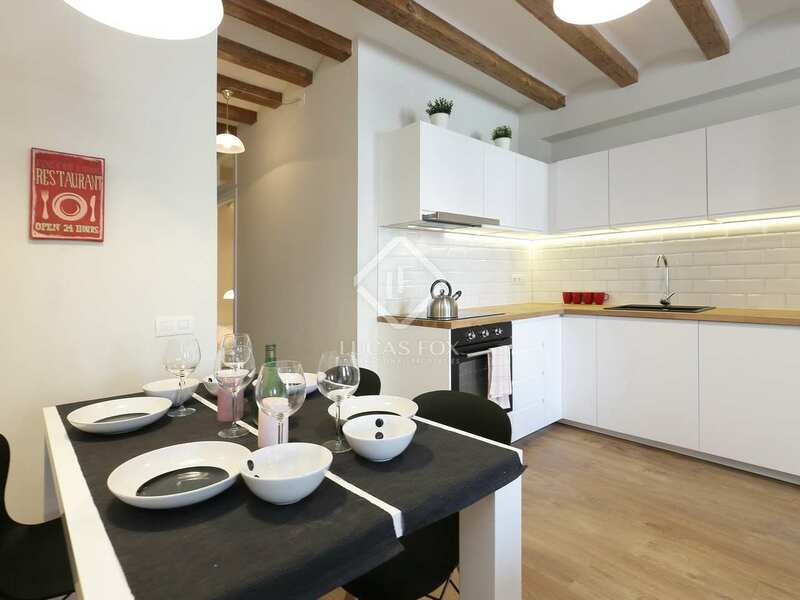 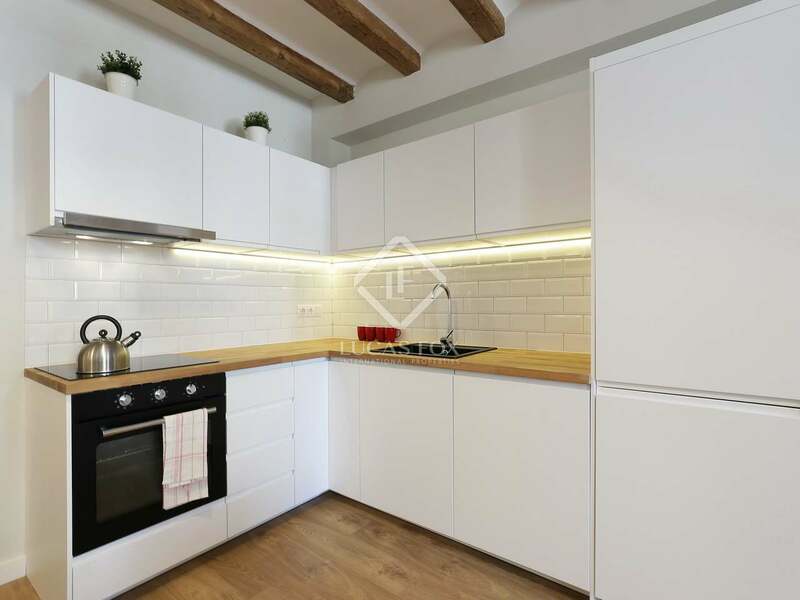 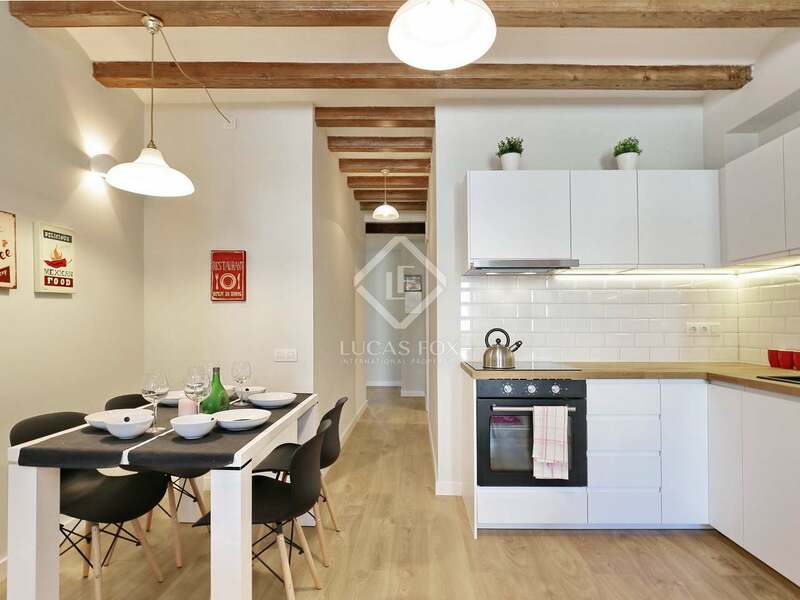 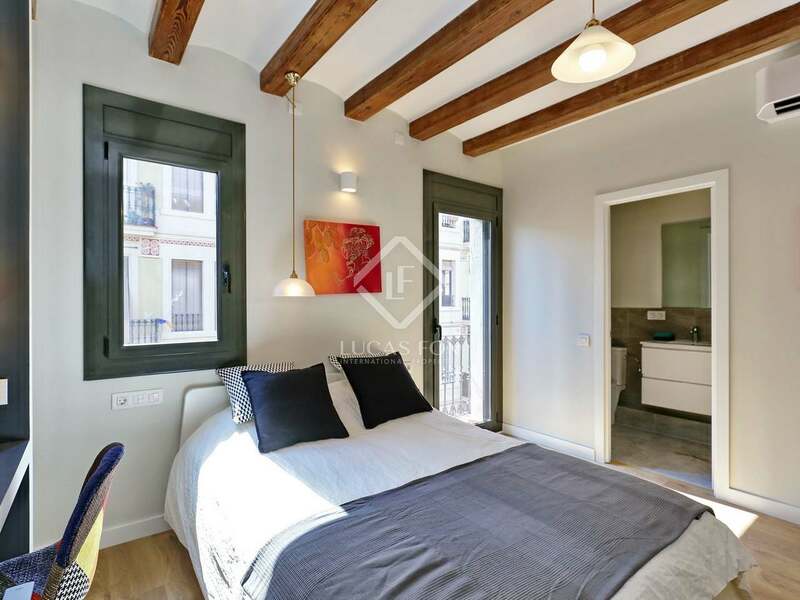 Fully renovated apartment with a balcony and 2 bedrooms for sale in Poble Sec, Barcelona. 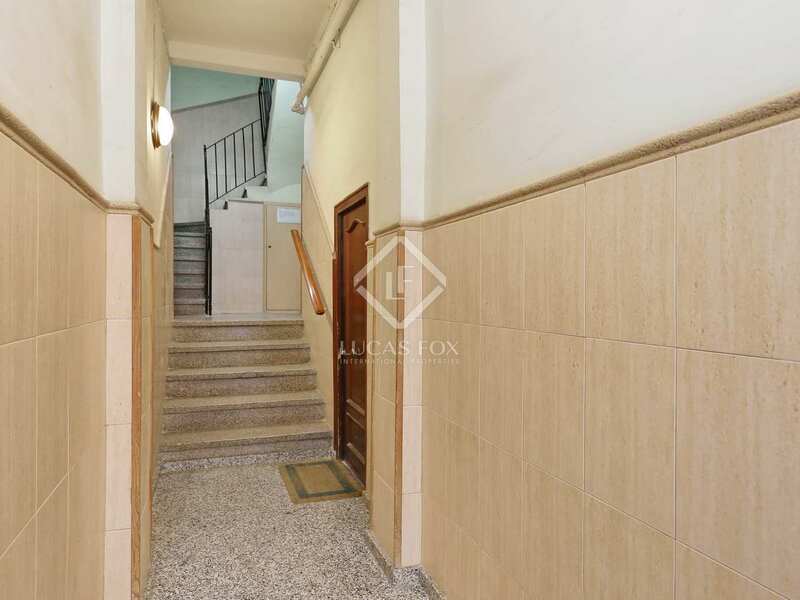 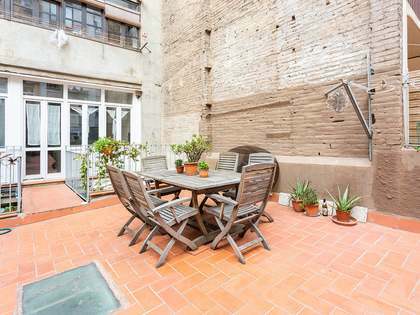 70 m² apartment located on the fourth floor (real height) of a well maintained building, without a lift, in the neighborhood of Poble Sec. 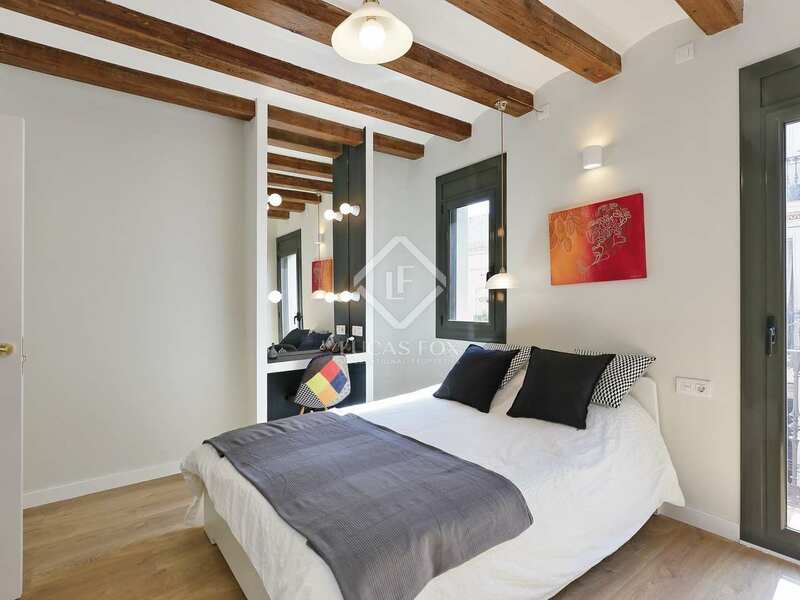 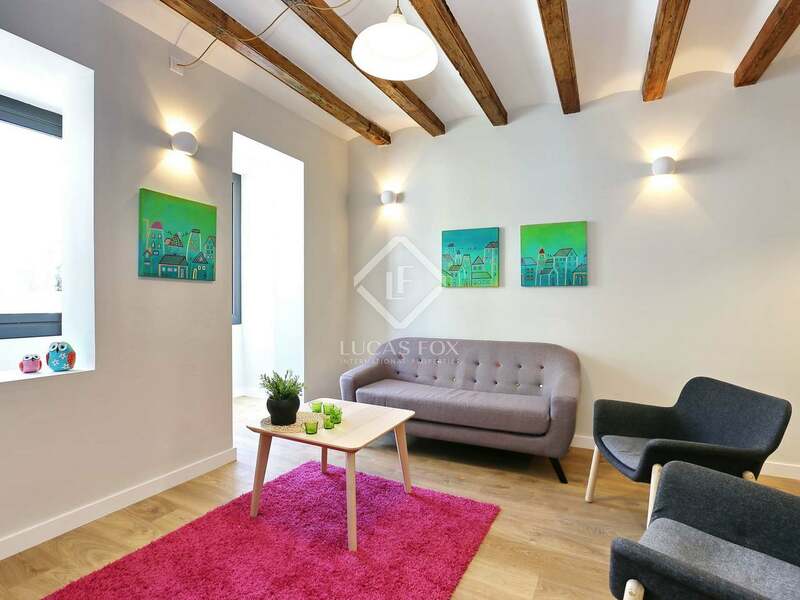 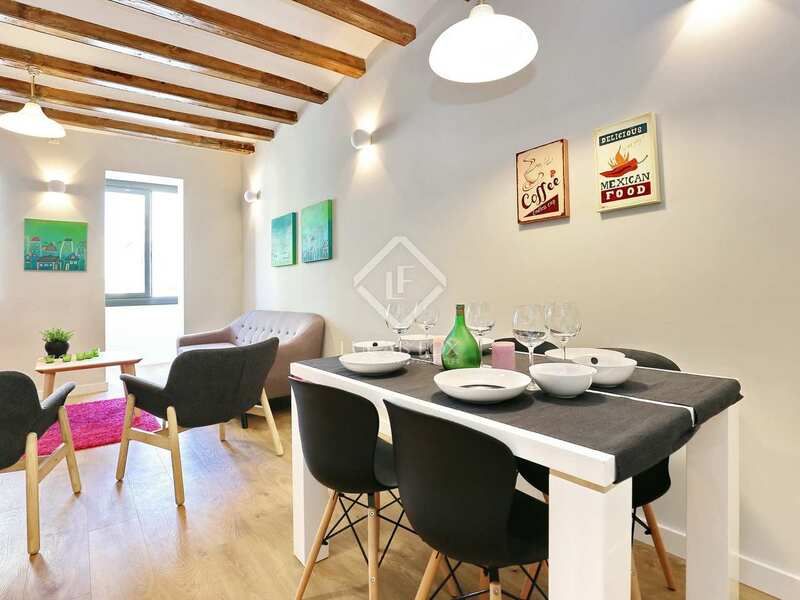 The property is fully renovated yet retains some of the original architectural features, such as wooden beams and the Catalan vaulted ceiling. 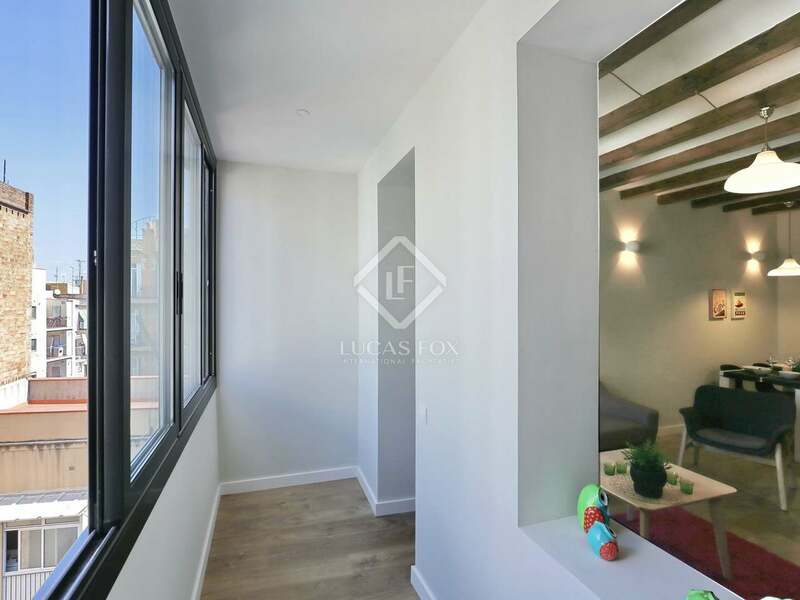 The layout consists of a large living room with integrated kitchen, next to a bright covered gallery that overlooks an interior courtyard. 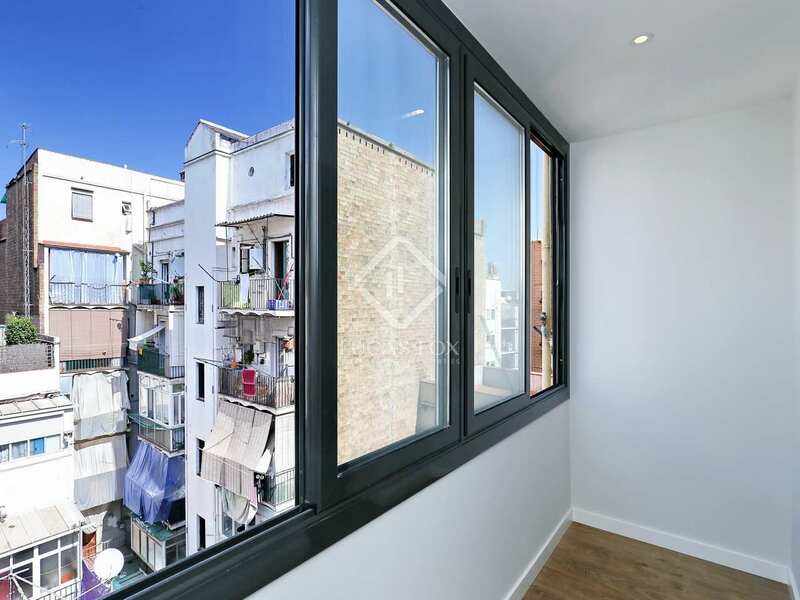 The apartment has 2 double bedrooms, 1 with access to the balcony and a private bathroom, and an additional bathroom. 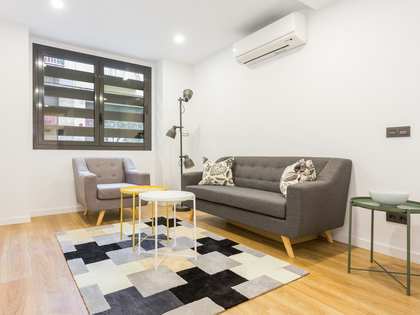 Further notable features include high quality carpentry and air conditioning with a Split type heat pump. 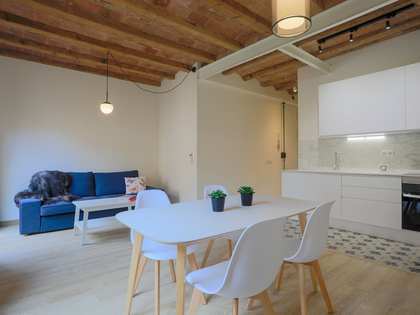 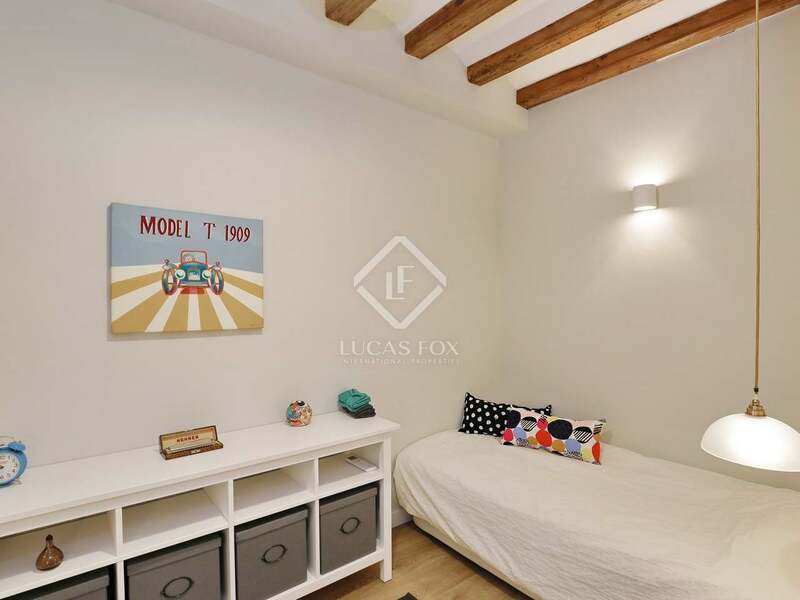 Contact us to arrange a visit to this fantastic renovated apartment for sale in Poble Sec. 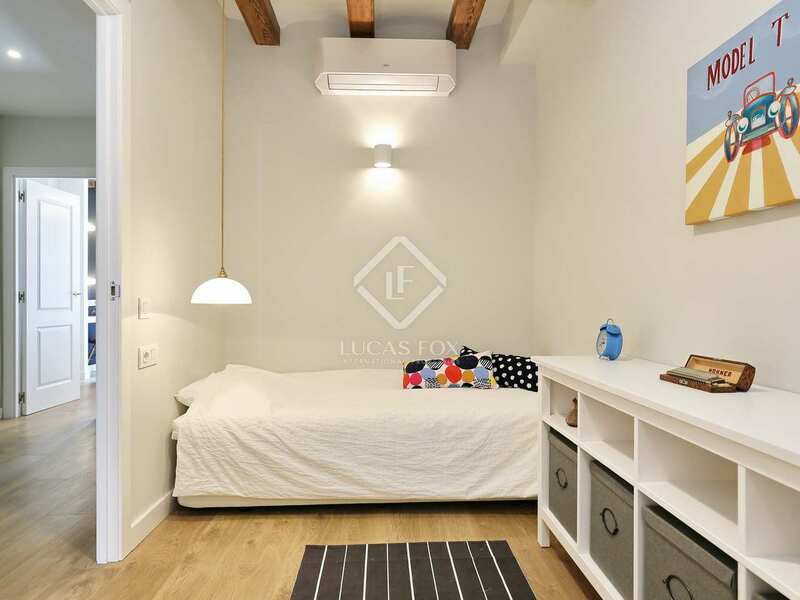 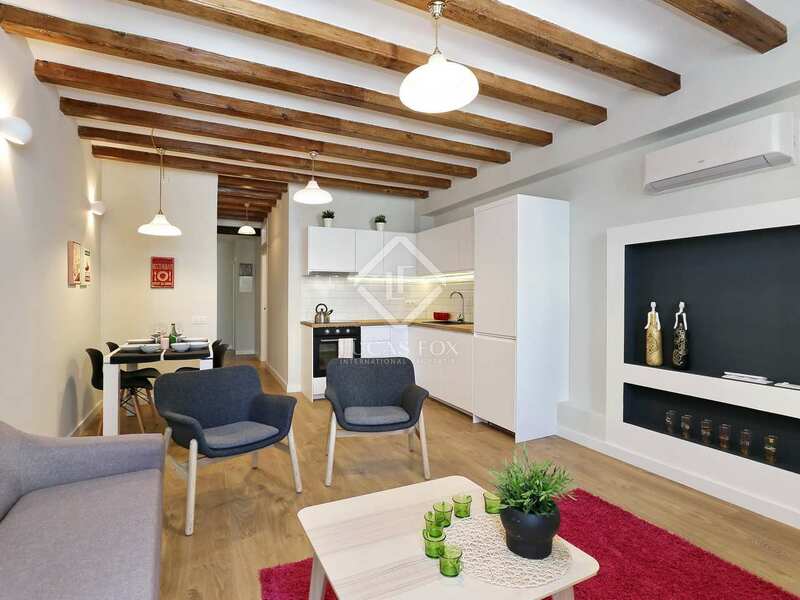 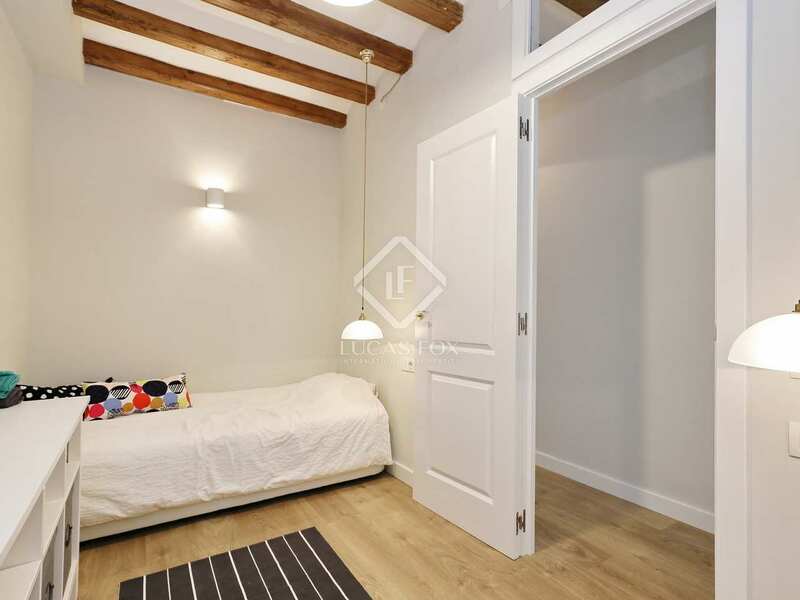 Property located in the Poble Sec neighborhood of Barcelona, ​​near Plaza España and Montjüic Park. 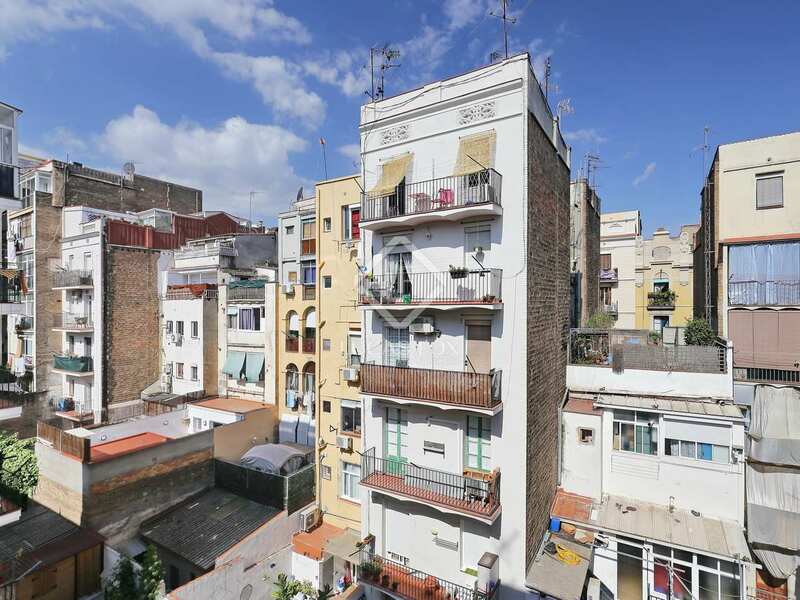 The area offers a lot of services and is very well connected by public transport with the entire city.